What Will the New Congress Do? Yesterday’s election clearly demonstrates that the American people reject President Obama’s handling of the economy. Just as the 2008 elections were interpreted as a repudiation of President Bush’s agenda (particularly with respect to foreign policy), the 2010 mid-term election shows that America does not support President Obama’s domestic priorities. Specific to energy and the environment, one clear message from the election is that cap-and-trade, top-down, command-and-control regulations are a losing argument with the voters. Candidates who voted for cap-and-trade, with few exceptions, ran away from that vote. Voters understand that cap-and-trade is a national energy tax. 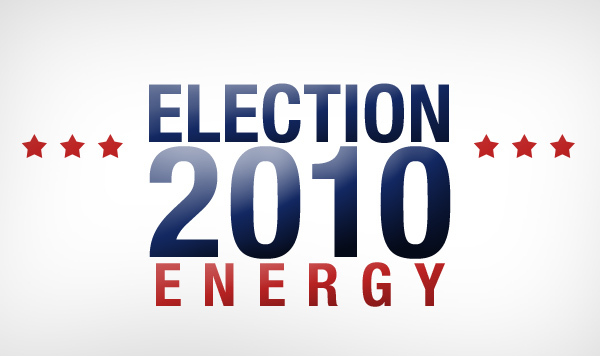 With respect to energy policy, the election results will likely yield a modest and marginal improvement. While it will certainly not be the “environmental doomsday” that the national environmental lobby claims, unless the Republicans have truly changed their stripes, it will also not be the dramatic improvement that some predict or hope. With the Republicans in charge of the House and a narrowly-controlled Democratic Senate, massive new federal programs like cap-and-trade appear to be off the table for now. The biggest improvement we can expect is that the new Republican leadership in the House will carry out the necessary job of conducting oversight hearings and trying to rein in an out-of-control Obama Administration, whose goal from day one has been to fundamentally transform America. Hopefully, the new Republican majority in the House will provide a counterweight to the Obama administration’s goal of making coal, oil, and natural gas more expensive and more difficult to produce domestically. In the past, Republicans have not exactly been paragons of the free-market, so it is as important as ever to continue to hold Congress and the administration accountable whenever they move towards government intervention in energy markets. One doesn’t have to think back long to remember what previous Republican majorities have delivered—policies such as the ethanol mandate, subsidies for inefficient and unreliable energy sources, and moratoria on oil and gas exploration and development, just to name a few. In recent weeks, leading Republicans have already pushed for a federal renewable electricity mandate, a carbon tax, utility price caps, a tax on oil imports, and a newer, larger ethanol mandate. Unfortunately, many Republicans, it seems, are willing to compromise free market principles for the sake of political expediency. As noted above, there are both positives and negatives to Republicans increasing their numbers in Congress. • “All-of-the-above” energy Republicans. With this new political landscape, President Obama will try to advance his energy agenda in piecemeal fashion. Some Republicans will be tempted to go along with the President to support misguided notions of their “all-of-the-above” energy policy. While “all-of-the-above” makes for a good rhetorical device, it is deeply flawed as an actual policy since it seeks to increase federal involvement in all types of energy production. Instead of increasing federal involvement in energy, Republicans should move away from “all-of-the-above” and instead focus on creating a level playing field for all sources of energy. Congress should focus on removing impediments to all types of energy production so that individual Americans, not politicians, can decide which types of energy work best for their individual needs. This agenda would be much more in keeping with the renewed (and welcome) emphasis on smaller government, more freedom, and less federal involvement in all aspects of our lives. • Oversight. We expect to see hearings on EPA’s continued and unprecedented assault on affordable energy access and use—starting with the agency’s ongoing development of greenhouse gas rules, and extending to new fuel economy mandates, ozone regulations, industrial boiler regulations, dust regulations, and others. Also expect to see hearings on the Administration’s hostility to oil and gas production, the Nuclear Regulatory Commission’s agenda for the Yucca Mountain, and analyses of the renewable energy projects funded through the 2009 economic stimulus package to name a few oversight topics. • More benefits for nukes and electric cars. In the past, some powerful Members of Congress have supported tax credits and increased government funding for nuclear power and natural gas and electric vehicles. For example, Sen. Burr, who would replace Sen. Murkowski as chairman of the Senate Energy and Natural Resource Committee, has previously supported these policies. • Offshore oil and gas exploration and development. The Republicans in Congress will no doubt seek to pressure the Department of the Interior to accelerate the pace of permitting for offshore energy development. • Renewable Energy Mandate. As improbable as it seems, some Republicans lead by outgoing Senator Sam Brownback (the Governor-elect of Kansas), are talking openly about imposing a federal renewable energy mandate on electricity users during the upcoming lame duck session. Such a mandate would increase energy costs and reduce electricity reliability and result in a transfer of money from ratepayers to well-connected wind and solar companies and their lobbyists. It is no surprise that Republicans regained control of the House. As of this writing, it appears that the Republicans are poised to pick up at least 60 seats—more than enough for a comfortable majority. The only real question is, what does this mean for energy policy? • House Energy and Commerce Committee. Under current House Republican rules, Energy and Commerce Ranking Member Joe Barton (TX) may be barred from seeking the full committee gavel in the 112th Congress, owing to term-limitations. Barton, however, will request a waiver from that rule—with a final decision likely handed down in a few short weeks. If that dispensation is not secured, next in line for the top spot is Congressman Fred Upton (MI). For supporters of less government intervention, Upton has a spotty record. For example, he has consistently voted to place more federal lands off limits to domestic energy production, was an architect of the incandescent light bulb ban, has voted for ethanol mandates, and has cast votes in opposition to oil and gas production from offshore areas. • House Natural Resources Committee. Representative Doc Hastings (WA), the current Ranking Republican on the House Natural Resources Committee, will likely serve as its chairman in the 112th Congress. This committee plays a central role in crafting policy with respect to energy production on federal lands, both onshore and offshore. Hastings has a solid pro-energy record, which should bode well for those interested in reigning in the Obama agenda of curtailing domestic energy production on federal lands. • Select Committee on Energy Independence and Global Warming. An important first test for the Republicans in the House will be whether or not they dissolve this toothless committee. Speaker Nancy Pelosi (CA), as a payoff to her pal Congressman Ed Markey (MA), invented this committee. It has no legislative authority. It is “feathers on a fish,” according to Democratic Representative John Dingell (MI), the dean of the House. Unfortunately, Representative Jim Sensenbrenner (WI), the Ranking Republican on the committee, has argued strongly that it not be dissolved (with him serving as Chairman, naturally) so it can focus on oversight. The fact that Sensenbrenner, regardless of his rationale, is unable or unwilling to look beyond his own parochial interests and call for an end to this charade of a committee is a discouraging sign. While all of the results are not yet in, it appears the Democrats will cling to a narrow majority in the Senate. Senator Harry Reid is expected to retain his post as Majority Leader. He is openly hostile to affordable, domestic energy production. Senator Reid has been the President’s lead advocate in the Senate in promoting an agenda to deliberately increase the price of energy, impose additional regulations, and decrease domestic energy production. • Senate Energy and Natural Resources Committee. Senator Jeff Bingaman (NM) will remain the Chairman of the Senate Energy and Natural Resources Committee. Senator Bingaman is a lead proponent of a renewable electricity mandate. He is expected to push for this policy during the lame duck session in the coming weeks. Bingaman is hostile to offshore oil and gas production, as demonstrated by his vehement opposition to state revenue sharing of royalties from offshore energy production. Due to the time zone difference and the complexity involved in counting write-in votes, the outcome of the Alaska Senate race remains undecided. Senator Lisa Murkowski, the Republican incumbent and current ranking member of the committee, is fighting to save her seat as a write-in candidate against the Republican nominee Joe Miller. Senator Murkowski’s record has not always been seen as a good one. For example, when she fought to pass a ban on EPA moving forward on its greenhouse gas rules, she said she was doing it—above all else—to protect the Senate’s prerogative to pass the same type of regulation; regulation that would increase costs to consumers and drive jobs offshore. If she ultimately loses, Senator Richard Burr (NC) will likely replace her as ranking member. • Senate Environment and Public Works Committee. Senator Barbara Boxer (CA) has won reelection and will remain Chairwoman of the Senate Environment and Public Works Committee. Boxer is a darling of the anti-energy environmental lobby and will continue to use her platform as Chairwoman to serve as a foot solider in Obama’s war on affordable energy. Senator James Inhofe (OK) will likely remain the ranking member on the committee. Inhofe has been a tireless champion in the fight against new draconian greenhouse gas regulations such as cap-and-trade. Typically there is a shakeup in White House staff after the President suffers an electoral defeat as stunning as this election. And nowhere in the Obama Administration would a staff shake up be more welcomed than in the agencies that deal with energy and environmental issues. But even if a shakeup were to occur, there is no reason to believe the administration will back down from its regulatory assault on affordable energy. EPA is moving full speed ahead with its offensive on affordable energy, namely through the implementation of greenhouse gas regulations. EPA will also continue forward with new regulations on dust, ozone, “conductivity” of surface water in Appalachia (in an effort to stop coal mining), industrial boilers, water-cooling intakes, and more. Yesterday’s election, among other things, is a direct referendum of the administration’s anti-energy agenda. The administration will recognize this and switch its focus to the less democratic arenas of regulation and litigation to achieve its ends—which include increasing the costs of all traditional and reliable forms of energy and transportation. The new Republican leadership in the House has the power to prevent this from happening by defunding the White House’s ability to implement their draconian greenhouse gas rules through the budget and appropriations process. The big question is whether they will have the resolve to take on these powerful agencies. If the money spent on campaigns indicates their relative importance, the three most important races last night weren’t U.S. Senate or House races, but the contests for governor in California, Florida, and Texas. While the fight to control the House and Senate dominated the news and election coverage, the races at the state levels might be even more important than control of the U.S. Congress since the states will redraw all 435 Congressional districts for the next decade. Last night, 37 governorships and 6,118 state legislative seats were up for grabs. As of this writing, eight governorships and five state legislatures have changed from Democratic to Republican hands. Among the big three prizes, Florida and Texas appear to remain in Republican control. California Prop. 23. California Prop. 23 failed. This proposition would have suspended the implementation of California’s Global Warming Solutions Act unless unemployment in California fell below 5.5 percent for 4 consecutive quarters. California will face some severe economic challenges because of the Global Warming Solutions Act as it tries to implement policies that have failed everywhere they have been tried. The passage of this initiative was always a long shot, but its failure has given some momentum to the proponents of substantial energy limitation and regulation. Thanks to your efforts and support, we have given environmentalists and their allies precious little to cheer about in the past two years. They will surely cheer that they have retained the Global Warming Solutions Act for the time being. In the future, this defeat will have little practical importance outside of California. States are not following California’s lead off the economic cliff. Instead, other states such as Florida and Maryland, which have passed greenhouse gas regulations laws have taken a much more tentative approach and will likely limit their losses during these difficult economic times. Regardless of the fact that Proposition 23 failed, the reality of the election is that states are going to take one step back from both regional greenhouse gas initiatives (both Nevada and New Mexico have new, conservative governors who will exit the Western Climate Initiative, which in turn will hasten the collapse of its counterpart in the East, the Regional Greenhouse Gas Initiative), as well as renewable mandates (there are about a half dozen governor candidates who have explicitly said they plan on either repealing or scaling back their state’s mandates). The election may be over, but the fight has just begun. Thanks to your support, many important battles in Congress were won on the energy front. The stakes, however, are just as high in the coming two years. The White House will continue to dictate policy, but hopefully its power will be somewhat restricted by the new Republican majority in the House. Too many times in the past Republicans have compromised important principles and imposed harmful energy policies. We must work to ensure that history does not repeat itself. 1. Stay informed. Closely monitor Congress and the administration’s activities. Every day we update our Energy Townhall blog, and we frequently update Twitter, Facebook, and our YouTube channel. 2. Stay involved. One of the reasons environmental groups are a powerful force in Washington, D.C. is because they have a large number of vocal activists. To successfully promote free market energy policies, we need to increase our numbers and we need to be vocal. We must hold Congress accountable for bad policies and we must support good ideas as well. 3. Recruit others. We need more activists to amplify our message. Forward this email to your family and friends. Together we can achieve real progress towards a better future. 4. Support IER. IER exists because of you. Please continue to join us in the fight for a better energy future by contributing $3, $5, $10, $20 or whatever you can afford. We must hold our elected leaders accountable for their actions. Thanks again for your tireless commitment to liberty. We look forward to continuing the fight for freedom and prosperity for our great country.